Cycling is often described as a way of simplifying life; we pedal away our problems, we reduce our thought stream and we get lost in the child-like novelty of freedom. However, it’s also a sport that can be incredibly confusing and one that often asks for more – more kit, more bikes, more miles, and more technical expertise. I’ll always want more adventures and to discover new roads, but I find myself craving less complexity in getting there. 12 months ago I’d given up on bike computers and was relying on friends to show me the way. Not having to deal with a Garmin was one less bit of faff [thing to fuss with]. Thankfully, I found Wahoo (not just the sound you make when a menu features avocado as a free extra). The ELEMNT BOLT has been designed to simplify your ride, not over-complicate it. 1. Every time we touch: A touch screen is great — until you put gloves on. Then it’s a sh*t show of frustration and nose gymnastics trying to swipe the camera up. The ELEMNT BOLT’s buttons are incredibly tactile. In other words, they’re juicy enough to press them no matter how many layers you have on or how fast you’re riding. 2. See no evil: Flipping through the different pages on the screen is intuitive — no data jargon that discourages you. You can decide whether you want to see the map, the data (which is personalised to what you want), or my favourite page — how long is left till the ride is finished. 3. Flirt with an alert: Most of us only like to be interrupted in life when it’s important or funny. The ELEMNT BOLT alerts you without intruding. The LED lights indicate a turn is coming up and notifications are pushed when you receive a text or your phone is ringing. 4. Fly like a bike ride: The BOLT is the most aerodynamic computer system available. Most of us relate aerodynamics to professional riders but then find ourselves investing in carbon, that extra tight jersey, or those expensive wheels. It’s satisfying to know that Wahoo has pushed the boundaries to provide the fastest bike computer on the market and applied that innovation and perfectionism to everything else the computer offers. Make my life better and easier, or leave me alone — that’s what I need from a product. The first time I used the BOLT was on a 130km ride around Mallorca. The mountains were tough, but the logistics were easy. Wahoo couldn’t make it simpler to go from computer file to following the route. 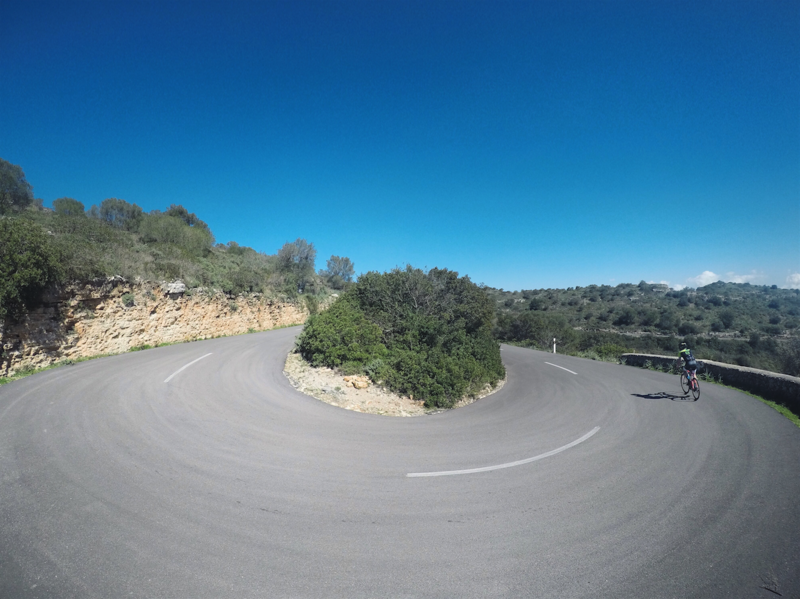 We were sent the Mallorca route via email and in two easy steps it was on my ELEMNT BOLT. 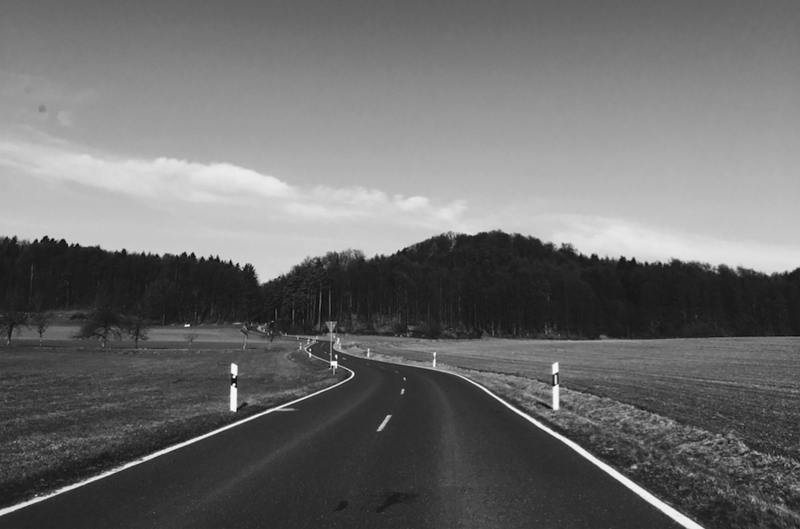 When you’re following a map, there’s few things worse than the aggressive beep that signals you’ve made a wrong turn — especially when you’re hungry. 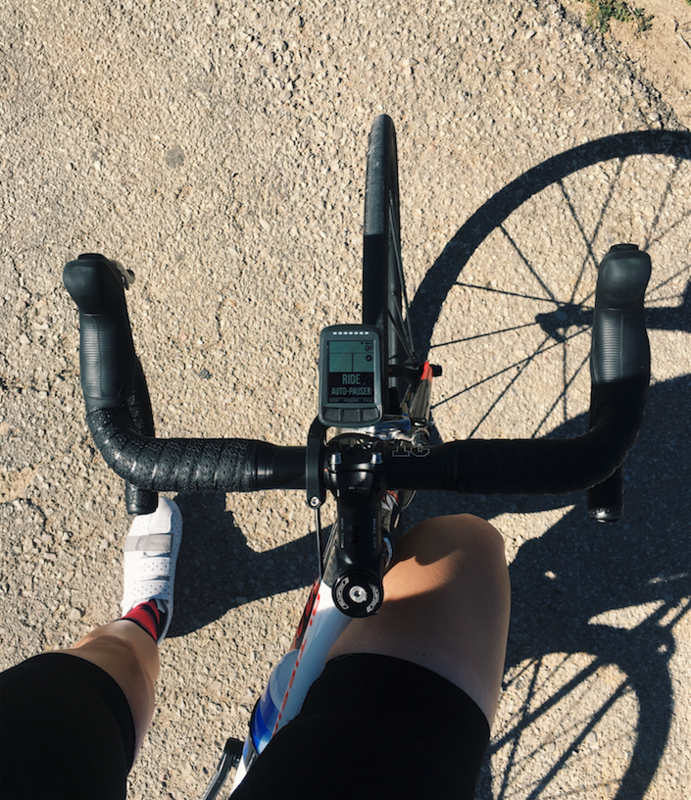 During our 130km route, the combination of block arrows on screen, LED indicators, and even alerts when a Strava segment was appearing meant getting lost wasn’t an option… apart from when I tried to find the toilets in a Spanish cafe and ended up in the kitchen. Lo siento. Stopping for lunch mid-ride is a great time. However, not knowing whether your bike computer will stop and lose your ride is not. We had an amazing buffet lunch in the sun followed by shandy and a coffee, safe in the knowledge that even if our BOLT turned off, the ride would still be there. Wahoo’s new feature ‘Take Me Anywhere’ means if you’re halfway into a ride, need a quick coffee, or want to change your route completely, you can do it by simply searching for a point of interest. Even better, because it’s powered by Google, you don’t need to know the address. ‘Good coffee’ or ‘Great gin’ is enough to find your perfect destination and — within seconds — have a route right to it. Before I could say ‘double gin & tonic, please’ the BOLT had uploaded the route to Strava. When returning home after a ride, the thought of having to find wires and upload your route feels like Everest. Thankfully the BOLT allows you to be lazy when your legs and mind deserve to be. From unboxing to bike, there is no part of the BOLT that will make you feel stupid. Just an incredibly well-designed piece of kit that is built to push bike computer boundaries. Not to mention the highly satisfying clicking noise when it connects to the aerodynamic mount. Fewer complications. Fewer wrong turns. Fewer bouts of panic over getting stranded. Here’s to the next one, supported by the second fastest Bolt on the planet. 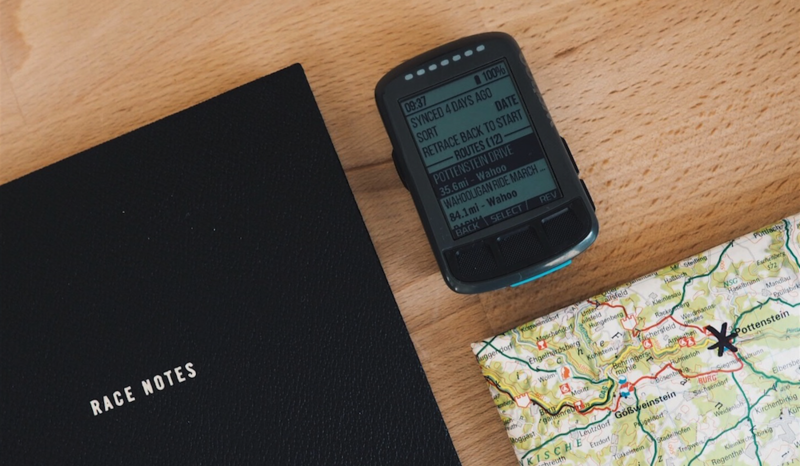 Want to learn more about the new ELEMNT BOLT? Visit our blog or our website! I purchased the Bolt this month and love the ease of set up. I would recommend watching the short videos on the website before mounting just for piece of mind you are doing it correctly. Wahoo hit it out of the park with the ELEMNT line and I’m sure the rest will be scurrying to catch up! Any plans to have the same great mount for the BOLT for an aero cockpit? As currently I need to go to 3rd party mount and the entire aerodynamic advantage is “different” . We do have plans to support this mount. Currently you can use the ELEMNT aero bar mount with the BOLT. When the BOLT is between the aero bars there is little aero advantage from the aero mount that comes with the BOLT currently.